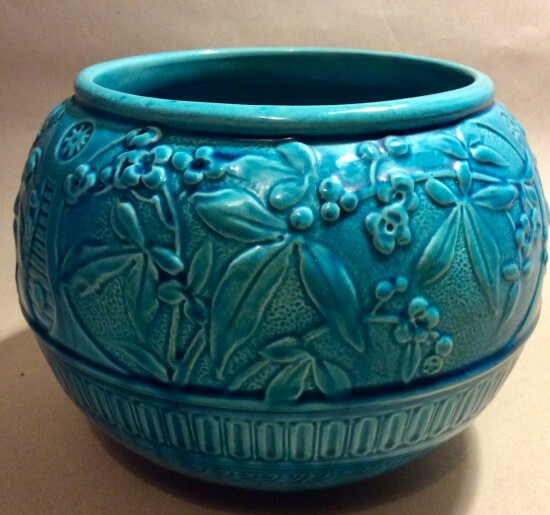 Antique Burmantofts pottery turquoise glaze fishbowl shape jardiniere. 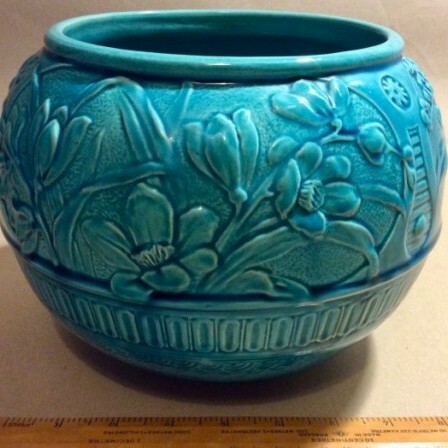 Description: Turquoise “ Persian blue” majolica glaze Burmantofts fishbowl jardiniere. 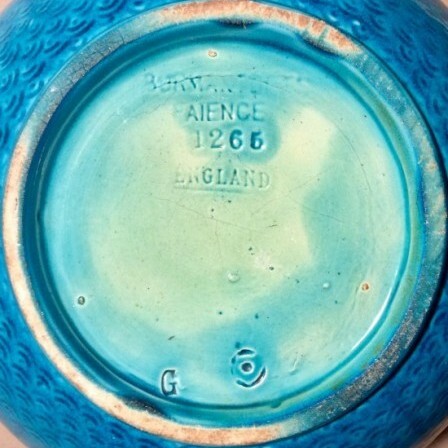 Impressed BURMANTOFTS FAIENCE 1265 ENGLAND. No damage or restoration. Dimensions: 9ins diameter, approx 7ins high.